Triphala, meaning three fruits, is a traditional Ayurvedic tonic native to India. It’s India's famous combination of Amalaki (Emblica officinalis), Bibhitaki (Terminalia belerica) and Haritaki (Terminalia chebula). When combining these 3 fruits, digestive harmony is born! Triphala is known for its ability to cleanse and detoxify the body while strengthening and nourishing it. Working as a gentle laxative, it stimulates the GI tract and removes toxins. Its three fruits have numerous health promoting constituents including chebulinic acid, chebulagic acid and gallic acid which promote healthy and regular bowl movements. At the same time it is said to revitalize the lining of the digestive tract, providing favorable conditions for the essential bacteria that our immune system depends on so much. With your intestinal health improved, digestion and absorption of the food and nutrients you eat is also enhanced. This can be especially beneficial for weight loss, tiredness, fatigue and more. Ayurveda also uses Triphala to support healthy immune, urinary, cardiovascular, respiratory and nervous systems. Ayurvedic or Ayurveda for short is one of the world's oldest natural healing systems. It has been used for over 3,000 years in India. It’s based on the idea that health and prosperity depend on a fragile balance between the body, mind and spirit. The main goal is to promote overall good health. In Ayurveda, Triphala is known to have beneficial effects on the three doshas: kapha, pitta, and vata, by bringing balance and proper functioning to the system. In Ayurvedic understanding, imbalances in these doshas can affect you not just physically, but emotionally and spiritually as well. Hair loss, graying, brittle, dry or consistently poor hair quality is a tell tail sign that you are having deficiencies and/or imbalances nutritionally. 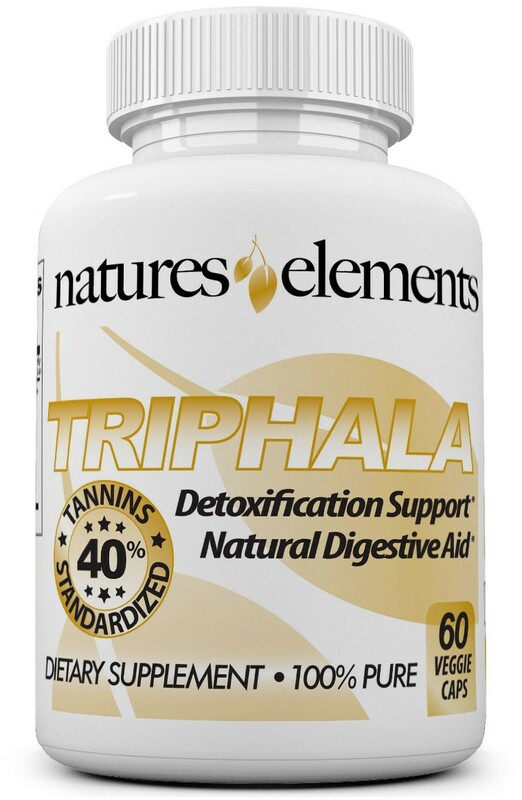 Improving your digestive system with Triphala can give your hair back what it needs to grow properly. 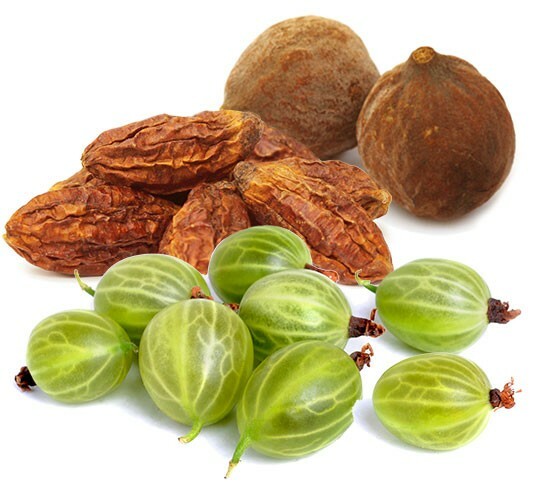 The benefits of Triphala not only improve health and well-being internally, it can also enrich the skin, enhance hair color and strengthen hair roots. Triphala is touted as an herbal mixture that is well known for is beneficial effects on the hair and scalp. Amla or Indian Gooseberry is one of the three ingredients contained in Triphala that contributes to this. Amla is known to have an abundance of vitamin C and tannins which makes it a highly antioxidant-rich fruit. Antioxidants carry out anti-aging mechanisms which can prevent hair from premature graying. The gallic acid, kaempferol and flavonoids in Triphala help enhance the hair texture. One of the main reasons for hair breakage is a deficiency of vitamin C, and one of the easiest ways to replenish vitamin C back into your system is by Amla. Taking Triphala for its antioxidants and other nutrients can be valuable for eye health. Your eyes are another area that can be deeply impacted by an intestinal tract thats not 100%. The benefits of Triphala can also improve your eye health and may enhance your vision. Ayurveda has been using Triphala to treat a host of eye problems and disorders for centuries. How Long Should I take Triphala? Triphala is taken daily with two small easy to swallow capsules. 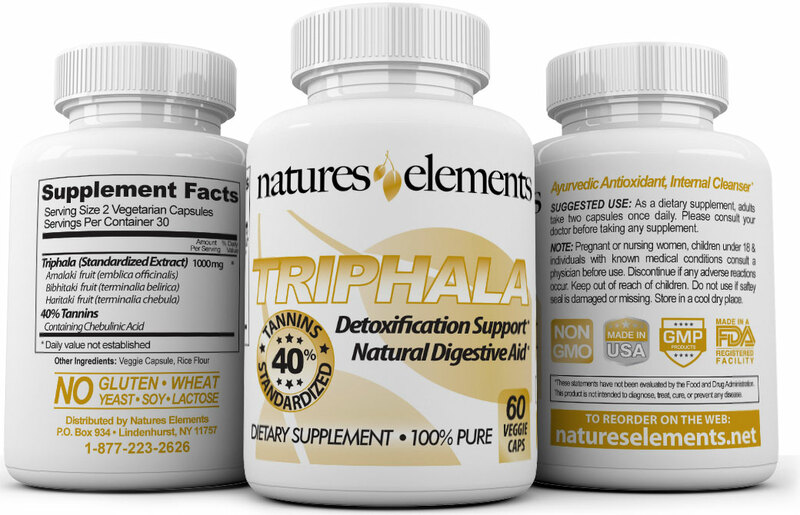 Each bottle of Triphala contains a 1-month supply. Although Triphala may work quicker from one individual to the next, we recommend you use it on a daily basis for the recommended period of time. After consistent use for at least 3 months, you should begin to see and feel results. You may achieve continued results the longer you are on the product. Be sure to order an ample supply. Natural medicine is designed to create a holistic balance within the body and can take time to propagate through your system. Be patient stick with it...you’ll be glad you did!